How Far is Marg Swarnabhoomi Utsav? Finally homes that cater to 'value for money' home buyers' aspirations! Homes that are priced Just about right, without compromising on essential Features. These homes are more spacious, with refined finishes, added comforts and part of a 1000 strong self-contained community located at MARG Swarnabhoomi. More attention has been paid to the design features such as 3-sided ventilation, spacious rooms and a balcony in every home...all this and more at a price that is within easy reach. Master bedroom : Ceramic Tiles(300 mm * 300 mm). Other bedroom : Ceramic Tiles(300 mm * 300 mm). Living/Dining : Ceramic Tiles(300 mm * 300 mm). Kitchen : Ceramic Tiles(300 mm * 300 mm). Toilets : Anti-skid Ceramic Tiles(200 mm * 200 mm). Balcony : Ceramic tiles - 300 x 300mm size. Exterior : Cement based weather proof paint. Kitchen : Glazed Ceramic Tiles dado up to 2' height above counter. Toilets : Glazed Ceramic Tiles dado up to 5' height. Electrical : Copper Wiring, Switches & Sockets. Toilets : White color EWC with flush tank & Wash basin with standard CP fixtures. Kitchen : 2' wide cuddappah counter, Single bowl stainless steel kitchen sink with drain board. Aluminum sliding type with plain glass without grill. Discover your home - from MARG ProperTies with Mr. Hoy MARG ProperTies, a leading name in the real estate space provides value enriched homes and builds everlasting relationships. MARG ProperTies offers a wide range of homes like Afforedable, Urban Smart, Integrated Townships and Ultra Luxury Homes. Having already sold more than 2.5 million sq.ft. 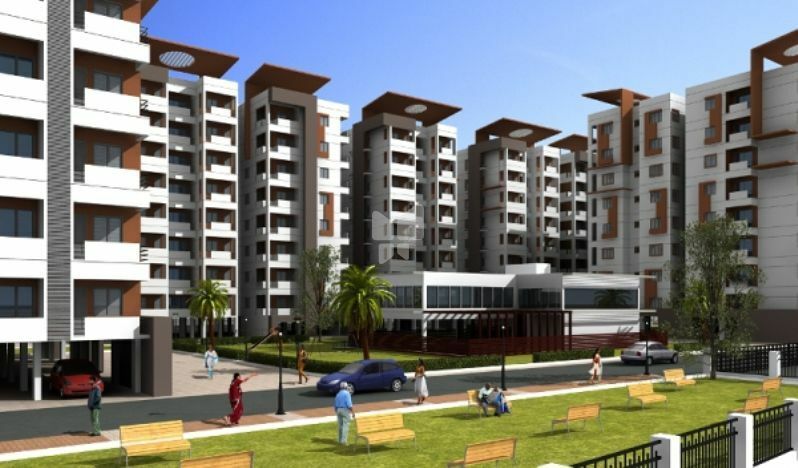 of residential space and having launched successful projects in the last one year, MARG ProperTies is poised to build 20,000 homes with an aim to provide value enriched value homes for one and all.